The April post has now been updated with all foreign models data. 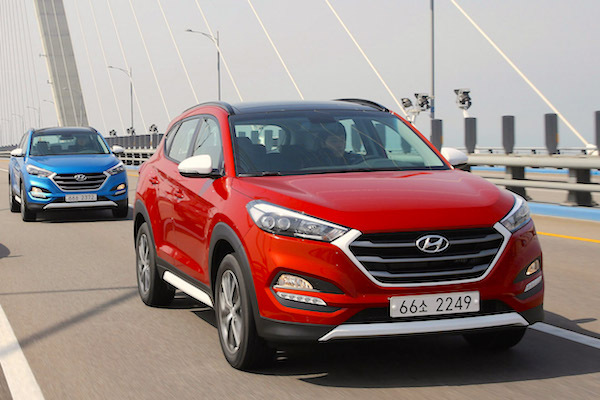 Sales of new local models in South Korea edge past their level of a year ago in May at +0.2% to 121.497 registrations, bringing the year-to-date total to 597.470 units, up 2% on 2014. Hyundai at 45.3% of the market and Kia at 32.9% continue to hold the lion share of domestic sales, with General Motors Korea (including both Chevrolet and Daewoo) at a round 10%, Ssangyong at 6.4% and Renault Samsung at 5.4%. 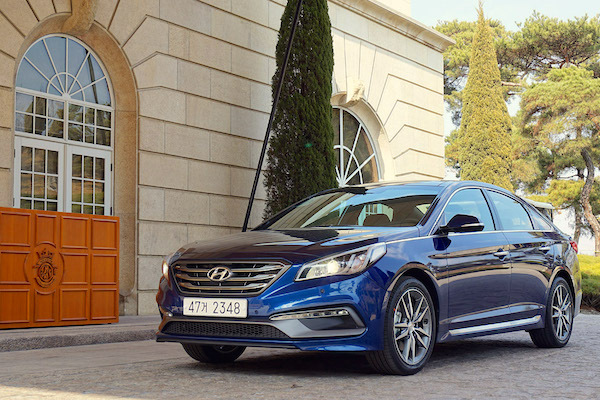 Leader in 2014, the Hyundai Sonata reclaims the title of best-selling nameplate at home in May for only the 2nd time in the past 10 months. Its 9.495 sales and 7.8% share are however not enough yet to dislodge the Hyundai Porter from the 2015 top spot, adding up to 40.710 deliveries vs. 41.683 for the LCV. In third place, the Hyundai Tuscon is airlifted by the new generation: up 95% on the old model a year ago to 7.270 sales and 6% share and now #9 year-to-date vs. #13 over the Full Year 2014. The Kia Morning (-22%) is the only non-Hyundai in the Top 6 at #4, with the Avante and Grandeur following. The Kia Sorento and Carnival continue to benefit fully from their relaunch at +258% and +336% respectively on May 2014. Now in its 5th month in market, the Ssangyong Tivoli still hasn’t run out off steam, posting its best monthly volume to-date at 3.437 units in 14th place. The same cannot be said for the Hyundai Aslan launched last October but down to #35 with a paltry 504 sales. Finally, a slight facelift and better equipment for 2015 are enough to push the lagging Chevrolet Captiva up 90% year-on-year to #24. 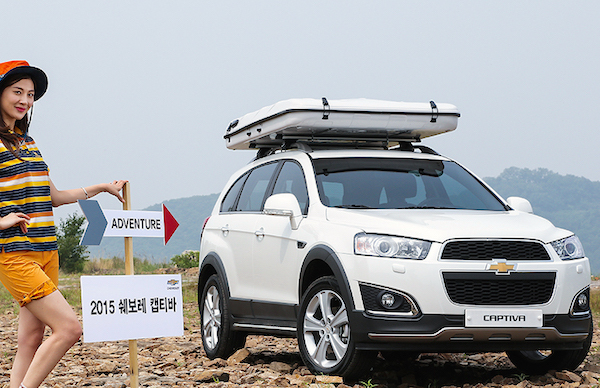 Chevrolet Captiva sales are up 90% year-on-year in May. Full May 2015 Top 53 local models, Top 140 foreign models and Top 40 All-brands below.